Immaculate townhome w/2 spacious bedrooms w/large walk-in closets. Plenty of storage w/garage shelving + full basement. All appliances included. Washer & Dryer in unit. Private patio. Johnsburg schools! Credit & background checks required & employment history. One small dog possible on case by case basis w/extra nonrefundable deposit. No Smoking. Landlord requests Security deposit $1250 + 1st & last month rent. Lawn care, snow removal & garbage service included. Available immediately. 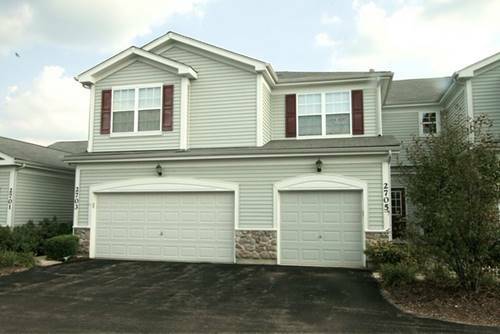 For more information about 2705 Kendall Crossing, Johnsburg, IL 60051 contact Urban Real Estate.